Color matching shouldn't be a guessing game, and with the Nix Mini Color Sensor, it doesn't have to be. Whether you're painting a room, coating car, or designing a website, this pocket-sized sensor matches colors with extreme precision, and it's on sale at a Black Friday price—only $55.20 when you enter code BFRIDAY20 at checkout. 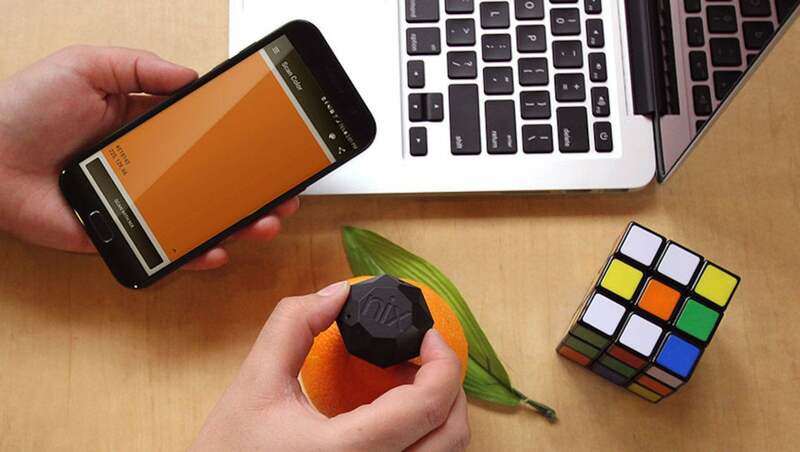 With the Nix sensor, you can simply scan any color critical surface, save it to your phone or tablet, and match it to an existing color library of more than 28,000 brand name paint colors, as well as RGB, HEX, CMYK, and LAB colors. It's the size of a ping pong ball and fits comfortably on your keychain. Plus, it's engineered with solid-state technology for added durability when you're on the move. Now, you can get the Nix Mini Color Sensor on sale for only $55.20 with code BFRIDAY20 at checkout, saving over 40% off the normal $99 retail price.